Governor Andrew M. Cuomo today hosted the state’s second regional sustainability conference, bringing together community development experts, local elected officials and business leaders to share successful economic growth strategies in Buffalo, NY. The conference is part of a statewide effort to boost awareness of resources available to local governments and nonprofit organizations to help create sustainable communities across New York. At the regional conference, the Governor also highlighted a new, interactive handbook that serves as a one-stop-shop resource for state grants – providing context and web links to a complete list of more than 100 innovative funding programs. The Sustainable Development & Collaborative Governance Conference draws on then-Secretary of Housing and Urban Development Andrew Cuomo’s 1999 conference, “Bridging the Divide: Making Regions Work for Everyone: Shaping the Federal Agenda,” which invited experts and academics in regionalism, smart growth and urban revitalization to present their ideas, followed by panel discussions among a diverse group of stakeholders. Under the leadership of Governor Cuomo, New York State is prioritizing cross-collaboration between state agencies, local governments and community partners to maximize the collective impact of their efforts. Western New York is a prime example of this bottom-up approach that has shown its success through the Regional Economic Development Councils. To date, New York State has invested approximately $5.6 billion in Western New York to advance the region’s housing and economic development goals, as well as support the area’s strategic plan. As a result, Buffalo has undergone a renaissance, transforming into a vibrant, thriving urban center. Since July 2010, Western New York has added 30,600 private sector jobs – an increase of 5.8 percent, bringing the total number of private sector jobs to 555,100, as of July 2016. Today, the unemployment rate in Western New York has dropped significantly – moving from 8.5 percent in July 2010 to 4.9 percent during the same time this year. 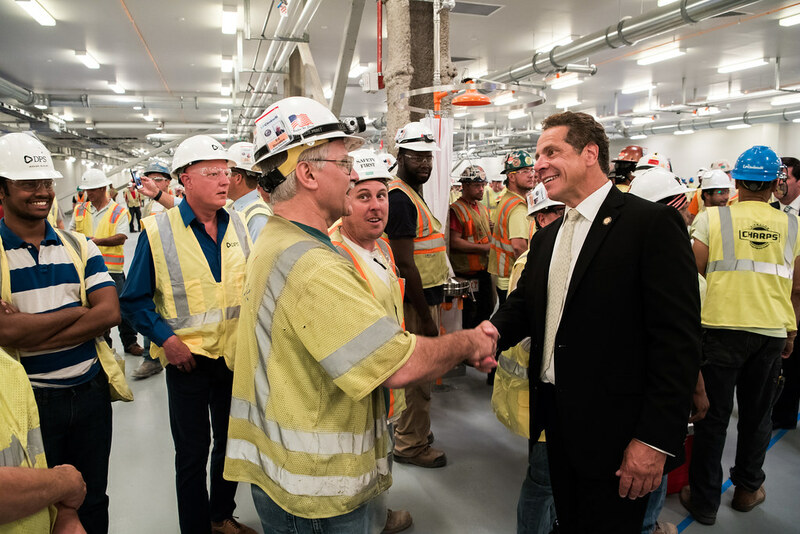 From Canalside to RiverBend, we are seeing an economic renaissance take root and surpassing Western New York’s every expectation for progress and success. Parris Glendening, President, Smart Growth America’s Leadership Institute and Former Governor of Maryland (1995-2003),spoke about how leaders across the country can harness the power of smart growth strategies to help rebuild state and local economies and promote long-term development in the 21st century. Robert Shibley, Professor and Dean, UB School of Architecture and Planning, touched on the new wave of regional planning efforts sweeping this state and nation, as well as recent revitalization efforts in Western New York which have laid the foundation for the region’s current success. Attendees included local elected officials, planners, economic development experts, housing advocates and more. The conference highlighted the $100 million Downtown Revitalization Initiative competition launched by Governor Cuomo earlier this year. The Downtown Revitalization Initiative is providing $10 million to one community in each of the state’s 10 regions to advance their downtown revitalization efforts. Additionally, all downtown revitalization projects will receive extra points through the Governor’s interagency Consolidated Funding Application process. Mayor Samuel Teresi of Jamestown, NY presented at the conference on his city’s winning submission. Senator Tim Kennedy said, "Equipping our governments, businesses and nonprofits with the knowledge and resources they need to spur local growth is critical to the economic success of our city and region. I thank Governor Cuomo not only for his unprecedented investment in Western New York, but for his commitment to continue to build on this development and opportunity by hosting conversations like those at today's conference." Assemblyman Sean Ryan said, "There are a wide variety of innovative funding programs which can be utilized by municipalities across New York. The economic growth we have seen in Buffalo and across the state has been remarkable, and much of the success has been due to these programs such as Historic Tax Credits and the REDC process. I thank Governor Cuomo for hosting this important event and for his commitment to economic growth in Western New York."